Photo courtesy of Third Way Think Tank via Flickr Creative Commons. 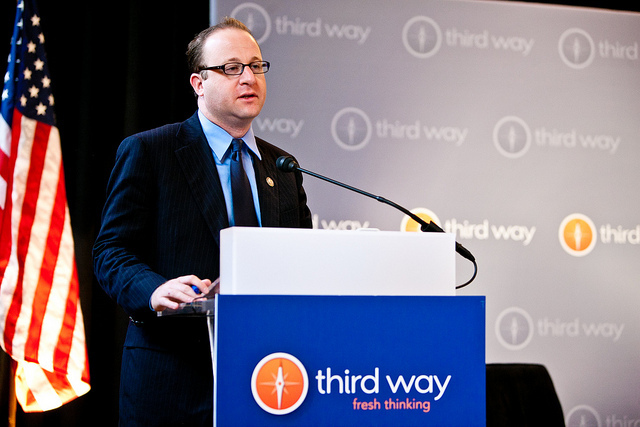 Jared Polis has served as a Colorado congressman for five terms, the equivalent of 10 years. Before that, he was a member of the state’s board of education. And before that, he was an entrepreneur with several strong businesses under his belt. Now, he wants to be governor. If he succeeds, beating the three other candidates for the seat, he’ll be the first openly gay governor in the United States. Tuesday, June 26, he won half the battle by taking home the Democratic Party nomination for the race. He ticks a lot of the boxes one usually sees in successful left-wing politicians. Millionaire. Married with two children and a dog. A strong platform that supports universal health care, early education, renewable energy, and marijuana legalization. His Republican opponent will be Walker Stapleton, the current Colorado state treasurer. Stapleton claims that Polis’s campaign promises, particularly those around a green-energy state, will cost the state hundreds of thousands of jobs. When the gubernatorial election happens in November, a certain percentage of the population will undoubtedly vote either for or against Polis because of his sexuality alone. But his campaign is not a rainbow one. He has a strong vision for Colorado, such as a single-payer health care system and a huge investment in the state’s infrastructure, which has been troubled since the 2008 recession. “Kicking the can down the road isn’t an option. Without action today, these problems will only get costlier and become even harder to solve as our quality of life deteriorates,” Polis said in a statement about the impact of a growing state population on air quality and roads.